Prescriptions, Healthcare, Sunscreen, First Aid, Skincare, Compression Garments, First Aid, Beauty Products, Vitamins and Minerals - You name it we do it! 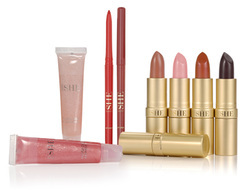 SHE Cosmetics was launched in 1996 with a range of 8 lipsticks created from a unique blend of natural, cold pressed aromatic oils and flower and plant extracts. SHE is unique. Based on natural ingredients, the ethos of SHE is to provide beauty for both the body and the soul. SHE products are all botanically based, paraben-free and are not tested on animals. Medico-Pak is a great system to keep all your medicines organised and to help you to remember to take them each day. Medico-Pak can be set up to package your doses for different times of the day. Each days dose can be detached from the main pack to make it easy to take a few days medicine away with you if you don't want to take the whole pack. Come in and trial the Medico Pak system for free for a month and see if it can help you out. In 2007, Sukin launched into the market with an unwavering focus on creating natural, effective and environmentally sustainable skin care, creating a message that extends far more than cosmetic. Proudly owned, manufactured and managed by a small family company, Sukin has now burst to the forefront of the natural skincare industry and is fast becoming one of Australia and New Zealand's leading natural skincare brands. Sukin products are formulated using a generous blend of active botanicals, 100% essential oils and natural ingredients that have been carefully selected to restore the natural vitality and radiance of your skin. Without compromising on quality, we have kept our retail prices below the market average ensuring everyone has access to quality, natural skin and hair care. We can measure and fit you for a wide range of compression wear; whether it is to prevent Deep Vein Thrombosis on a plane flight or in preparation for surgery. We have a wide range in stock and what we don't have can be ordered and in most cases can arrive the following day. We can advise on the correct compression level and size to meet your needs. We can also measure and fit hernia supports. Unimom Breast Pumps and AccessoriesResearched, tested and trialed, unimom breastpumps have achieved desired results in NZ hospitals and throughout many homes. They match the quality of top leading brands in NZ and meet hospital grade standards. Since being introduced to NZ in 2010, Unimom breastpumps have produced excellent feedback. 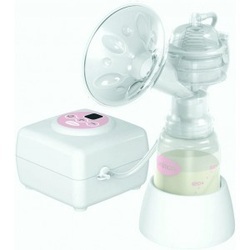 We stock a range of manual and electric pumps, bottles and storage bags for excess or expressed breast milk.